KNOWING THE CRITICAL COORDINATION ROLE OF THE GENERAL CONTRACTOR ON THIS MULTI- PRIME PROJECT, PSG WAS RECOMMENDED FOR CONSIDERATION AND UTLTIMATELY SELECTED TO LEAD THE TEAM. 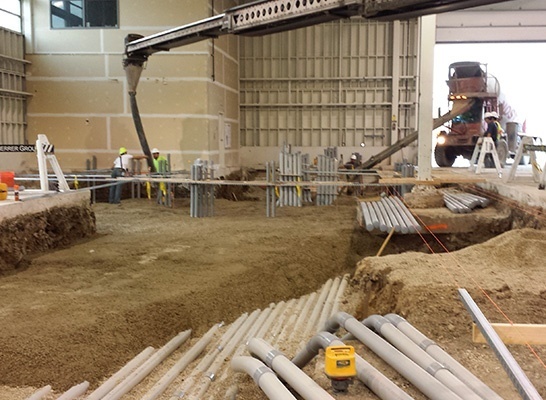 This growth required build-out for additional capacity at the Milwaukee Burnham Data Center. The 70,000 square foot facility has dedicated spaces for electrical equipment, data halls, carriers/telecom, equipment storage, staging and loading docks. Multiple prime contractors were to be retained to implement the expansion plan. One of those prime contractors, already familiar with the Owner, understood the critical lead role of the general contractor team member. This firm had just come off a great experience on a recently completed job with PSG and, knowing we could bring value to the project, recommended to Cosentry to take a look at us. 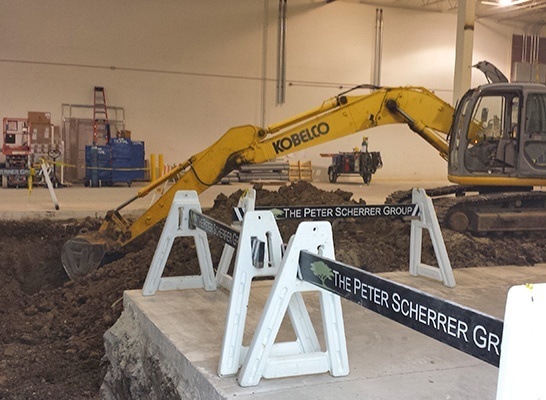 PSG was brought on board to lead the team for this 14,000 square foot build-out. Work included removal of concrete floors and excavation to accommodate buried power and data distribution lines, raised access flooring system, structural reinforcements to accommodate new HVAC equipment as well as complete automatic fire protection system and new interior lighting. New spaces constructed include offices, restrooms and a conference room.